DAYL’s Generation Generosity campaign aims to empower attorneys to understand the incredible impact of simple acts of generosity. 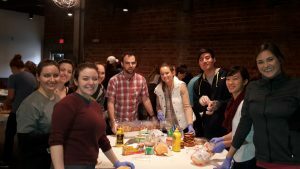 Each Generation Generosity event features a base-level, one-day community service project each month. 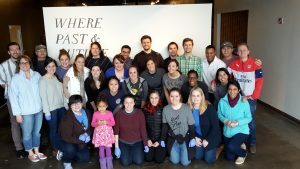 It allows DAYL members to roll-up their sleeves, get their hands dirty, and work side-by-side to make an impact on the greater Dallas community. Each event is different. Some are held on a Saturday morning, while others are held on a weeknight. Children are encouraged to participate with their parents, but sometimes, due to safety concerns, only those over 18 are eligible to participate. See below for recaps of recent Generation Generosity events as well as details of upcoming events. To volunteer or to receive more information, please contact Cherie Harris. 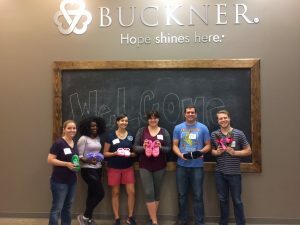 If you know of an organization that could use about 15 – 20 young lawyers donating their time for a few hours, we might be interested in partnering with that group. Contact Cherie if you have suggestions. The committee meets as needed throughout the year. Please check the calendar for information on the next meeting. DAYL members can sign up for the Generation Generosity list serve and receive information about the committee by completing this form.